Simple and comfortable, this medium recliner is the perfect lounge chair. A pad-over-chaise seat and channel-tufted back provide head-to-toe comfort, while padded dome arms contribute to its soft look and feel. Fit snugly in the corner of your family room or positioned next to your living room sofa, this medium recliner brings seating comfort and style to your home. 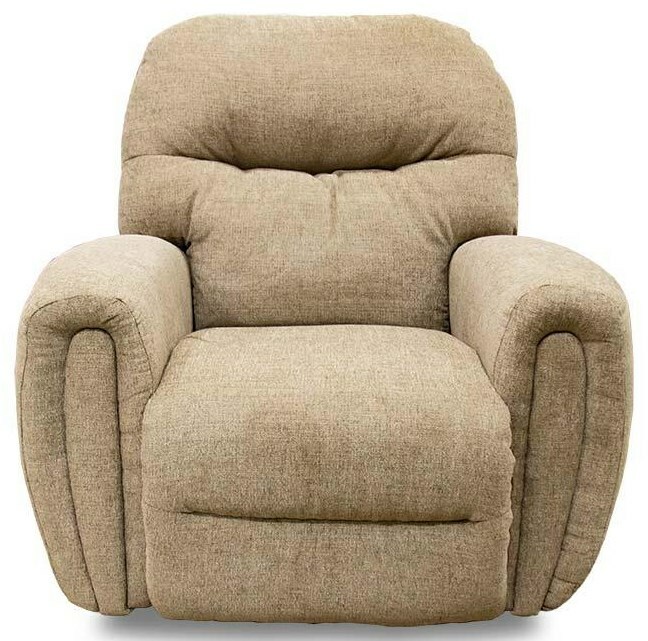 The Medium Recliners Markson Pecan Rocker Recliner by Best Home Furnishings at Great American Home Store in the Memphis, TN, Southaven, MS area. Product availability may vary. Contact us for the most current availability on this product.